Unlock a new miniature-sized adventure! 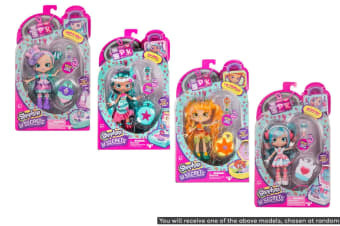 The Shoppies are on their biggest little adventure yet! Discover the mysteries of their magical lockets and unlock a secret miniature new world with the Shopkins Shoppies Lil’ Secrets Doll S1 W2! 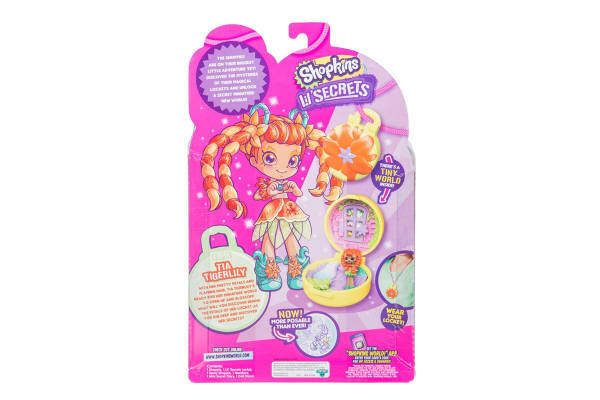 The Shopkins Shoppies Lil’ Secrets Doll S1 W2 comes with one wearable Lil’ Secrets Locket, a necklace to hang it on and an all-new Teeny Shoppie so you can take your Lil’ Secret wherever you go!